With a blank canvas, you can create your own environment, says Sebastian Parker. 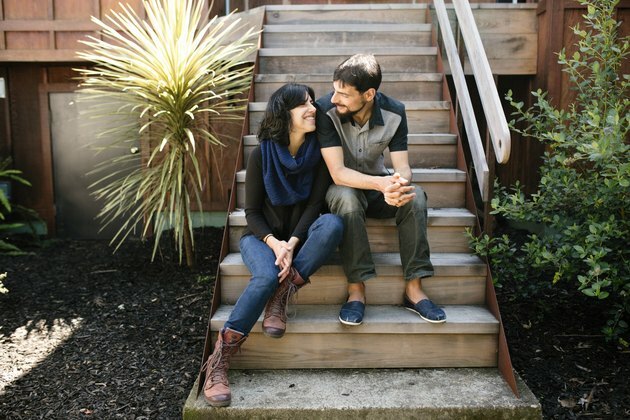 That's what drew the San Francisco native, now a custom furniture designer and woodworker, to this terraced property in a secluded nook of Noe Valley, with its single family home situated above a petite cottage on the street, and various gardens and patios rising up the hill. When Sebastian and his wife Celine, a contemporary dancer and educator, first purchased the property, five and a half years ago, the cottage was, he claims, "in a total different state." It was a full remodel. Parker envisioned creating something open and clean, filled with beautiful things he built himself. They removed a few walls and turned a closet into a bed nook, but kept the general architecture, with the high ceilings and octagonal windows intact. 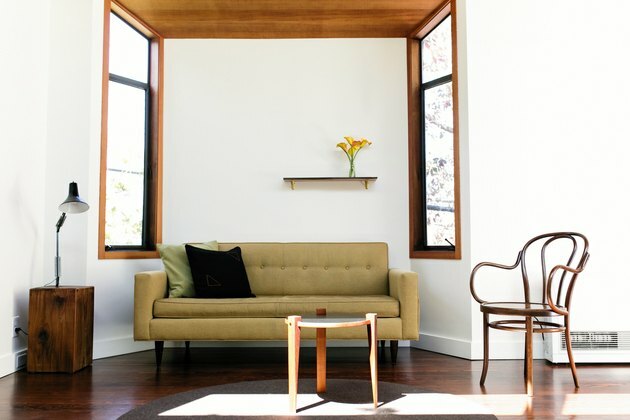 The bulk of the two-year renovation was comprised of furniture and custom work that Parker crafted from scratch. 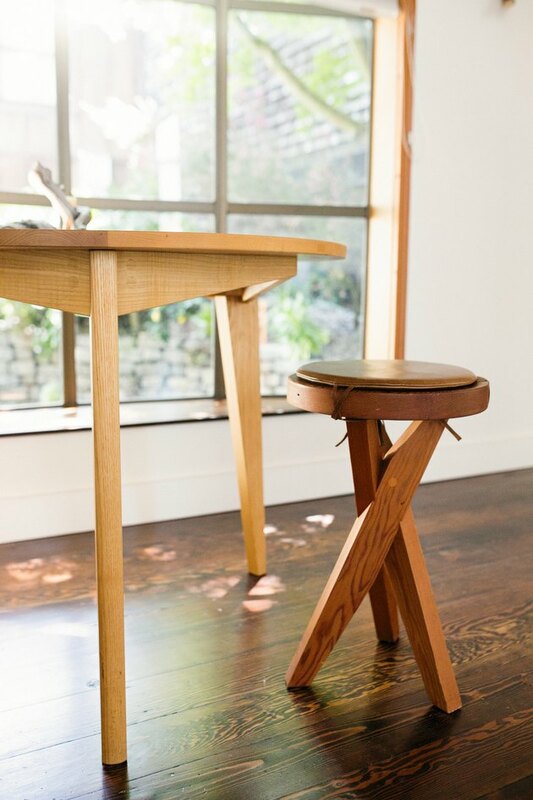 Although the family's primary home on the property, with its faint traces of Victorian living and views of downtown San Francisco and Marin, is also outfitted with Parker's custom woodwork, it's in the cottage (a space they currently rent on Airbnb, or lend to visiting friends) where his handiwork truly sings. 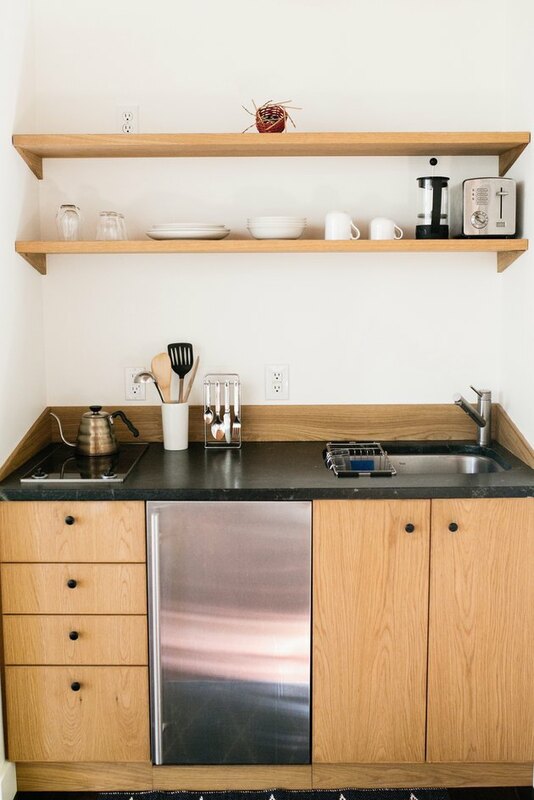 The bed frame, seating, armoires (affectionately known as Laurel and Hardy, given their disparate sizes), kitchenette, and cedar bathroom were all hand-crafted for the space, in Parker's shop in nearby Bernal Heights. Often, as the cottage slowly came together, Parker would sit in a room after putting his son, now 3-years-old, to bed, and quietly figure out exactly what was needed. "Living in the space and making changes as we felt inspired or pressed to do has been our approach," he explains. The space is small — just 460 square feet — yet feels expansive because the furnishings are so thoughtfully placed and scaled. The high ceilings and natural light that pours in through the clerestory windows help. As does the overall minimalist design approach. "I'm very influenced by a Japanese aesthetic," Parker explains, who practices Zen meditation himself. It's a sensibility that's imbued throughout the cottage, which, Parker says, will continue to evolve. "It is an on going project of building out the space one piece at a time that will surely take me at least another five years or more," Parker shares. "But it is very gratifying." The kitchenette is clean, spare and, with its two-burner Miele stove, meant for light cooking. 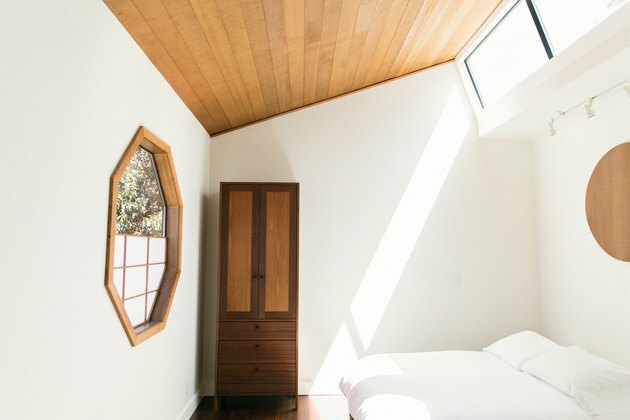 In the bedroom nook, light pours in through the clerestory windows. 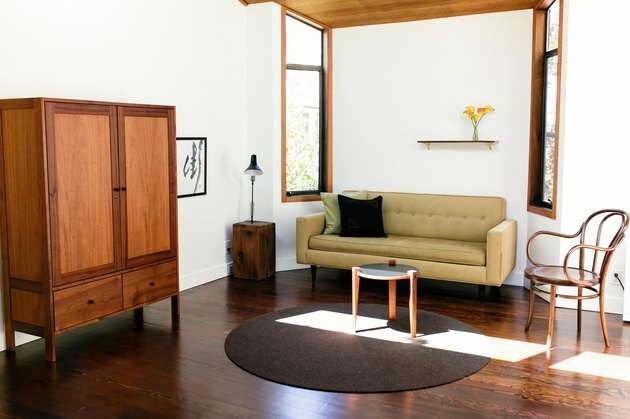 The armoire was handcrafted by Parker, and is affectionately called Laurel. The more squat companion piece, Hardy, sits in the open living area. 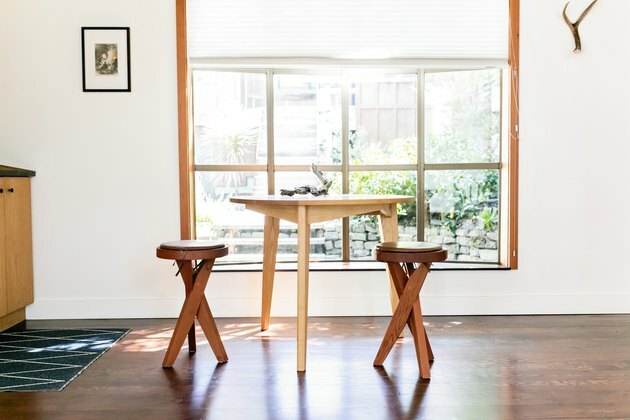 The petite dining table and stools, which overlook the garden, are examples of Parker's custom furniture — modern, minimalist, and perfectly scaled to the space. 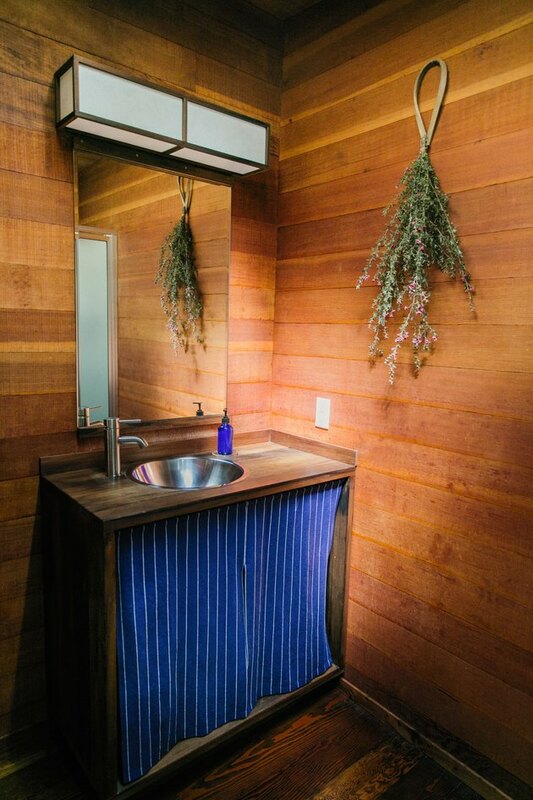 The cedar in the bathroom was reclaimed from a jacuzzi in Marin, says Parker. And because it had been exposed to water and the elements, it has a blackened patina that Parker finds very special. The octagonal windows and high ceilings are original to the cottage. The rest of the interior was completely renovated. Behind the cottage is a small patio. 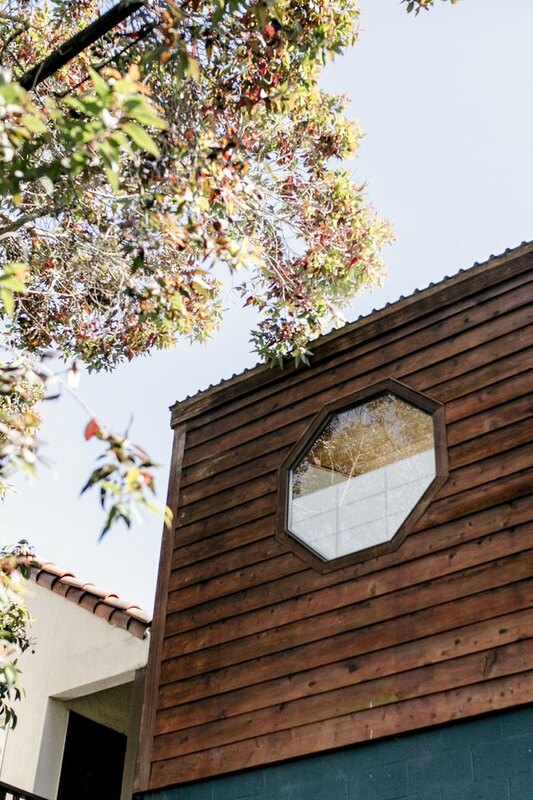 The Parkers' nearly 1,300-square-foot home sits above it. 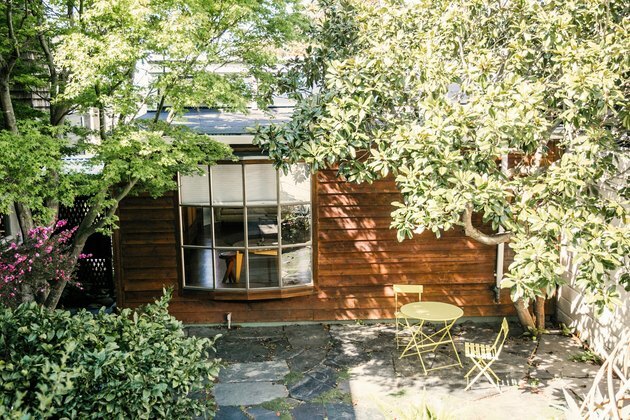 "We currently rent the small cottage out to visitors," says Parker. "But as the family grows and changes, we may incorporate it back into our family life." Until then, "It's a creative outlet for me... even though I don't get to use it that much. Just knowing that it's there is enough."